A general ledger account list contains the names and numbers of all the bookkeeping accounts necessary for classifying income and expenses. 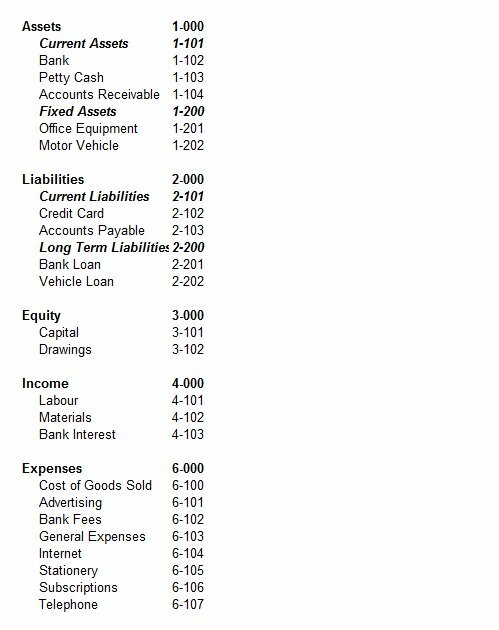 This list is called a Chart of Accounts. ...also, just as a table of contents can be found in front of a book, the Chart of Accounts can be found at the front of the bookkeeping ledgers. The Chart of Accounts is the name for the list of accounts used in the bookkeeping system. and finally the Revenue and Expenses (temporary capital). 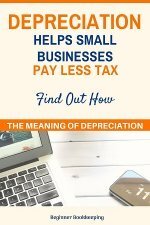 Expenses are usually the longest list found in the Chart of Accounts (yes, those pesky items that reduce the profit! 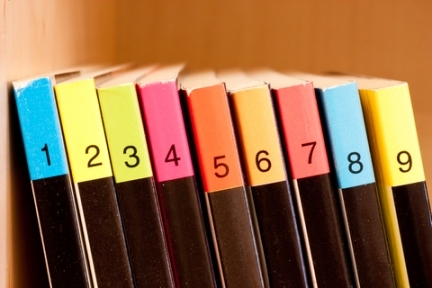 ), and are usually kept in alphabetical order. It is best to group similar purchases under one account name to keep the list short and orderly. Pencils, papers, post it notes and paper clips can all go under ‘Stationery’. Items that are purchased only once a year, such as an annual Post Box rental, or that are difficult to slot into any other account can be grouped under the account ‘General Expenses’, but avoid the temptation of adding too many purchases here. 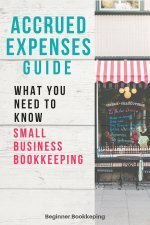 If your expenses list is long and cumbersome split the list into different groups with sub-totals to make them more manageable. You could have a group called ‘Administration Expenses’ and another called ‘Operating Expenses’... really, anything that will work and make it easier is acceptable. The general ledger account list, or Chart of Accounts as it is commonly called, can be as complex or as simple as the business owner/manager wants it to be. 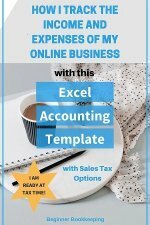 The chart is flexible and can be tailored to suit any business, enabling it to separate out information of interest or information that keeps the bookkeeping in line with government tax department requirements. Cost of Goods Sold also known as Cost of Sales. You will have noticed this in the example Chart above. Cost of Sales are basically any item, parts or service that a business has specifically purchased in order to fulfill a customer’s order or requirements.